Are you sticking with your older version of Windows instead of upgrading to Windows 7? There’s no problem with that, but here’s a quick reminder to make sure you’re running the latest service pack to stay protected. Microsoft offers security updates and more throughout the lifetime of a version of Windows, and periodically they roll all the latest updates and improvements together into a service pack. After a while, only computers running the latest service pack will still get updates to keep them safe. 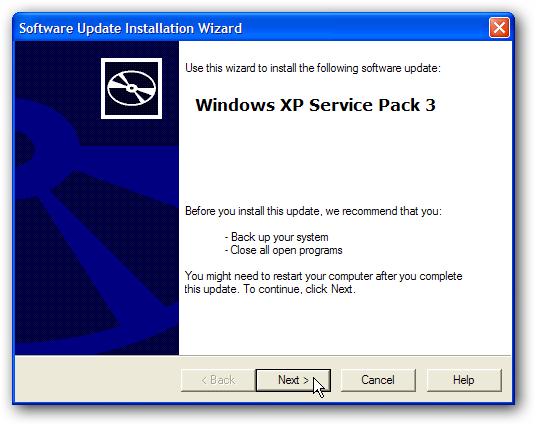 Recently, Microsoft has been warning that support is ending for Windows XP with Service Pack 2 and the release version of Windows Vista. When support ends, you will not receive any new security updates for Windows. You can continue to use your computer the same as before, but it may not be as secure and if new security issues are discovered they will not be updated. Run the download (or if you’re updating from Windows Update the installer will automatically launch), and proceed just as you normally would when installing a program. Your computer will have to reboot during the install, so make sure you’ve saved all your work and closed other programs before installing. To check what service pack your computer is running, click Start, then right-click on the My Computer button and choose Properties. 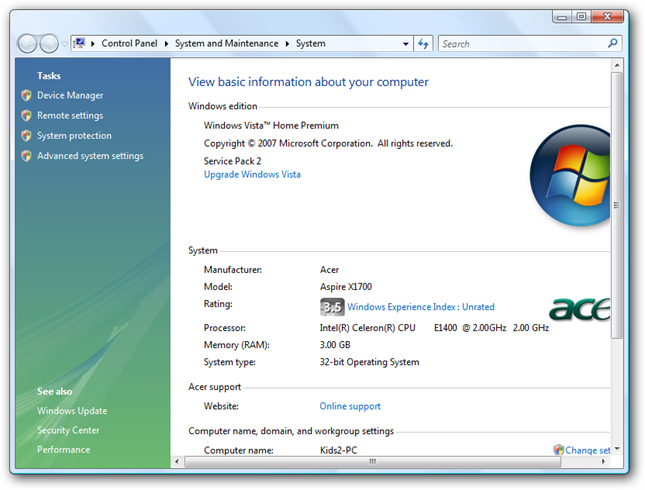 This will show you what version and service pack of Windows you are running, and in this screenshot we see this computer has be updated to Service Pack 3. 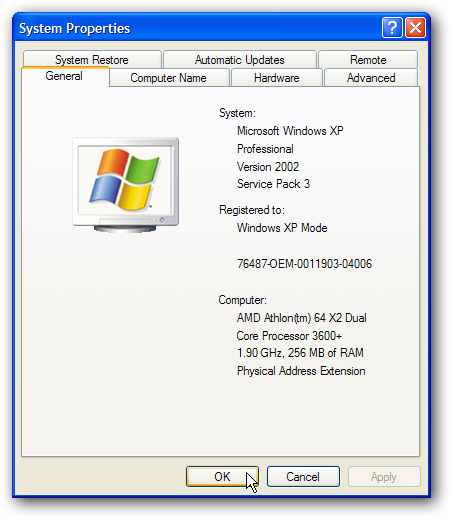 Please Note: The version of XP shipped with Windows XP Mode in Windows 7 comes preconfigured with Service Pack 3, and does not need updated. 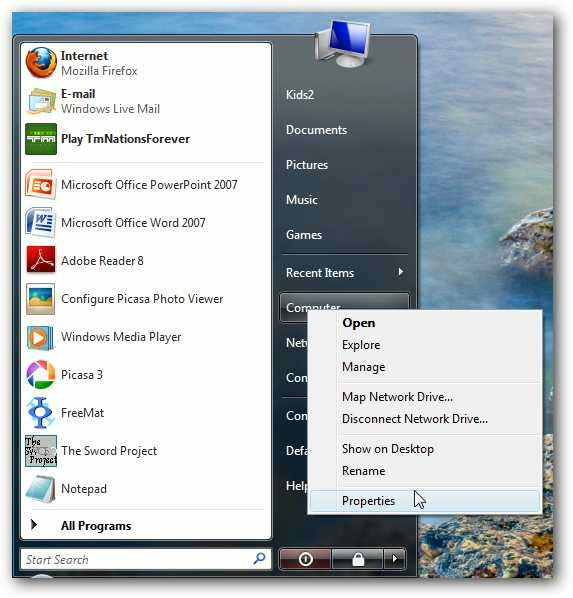 Additionally, if your computer is running the 64 bit version of Windows XP, then Service Pack 2 is the latest service pack for your computer, and it is still supported. Run the installer, and simply set it up as a normal program installation. Do note that your computer will reboot during the installation, so make sure to save your work and close other programs before installing. 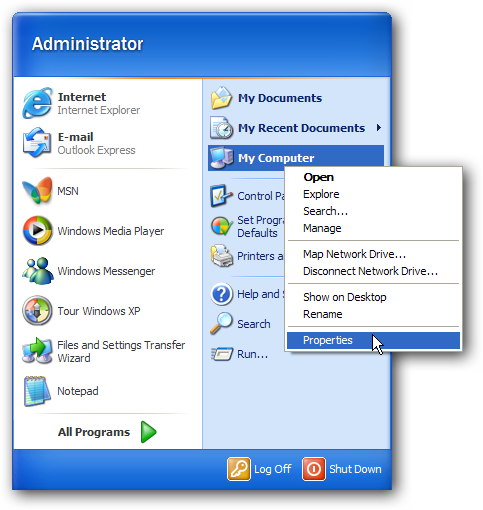 To see what service pack your computer is running, click the Start orb, then right-click on the Computer button and select Properties. 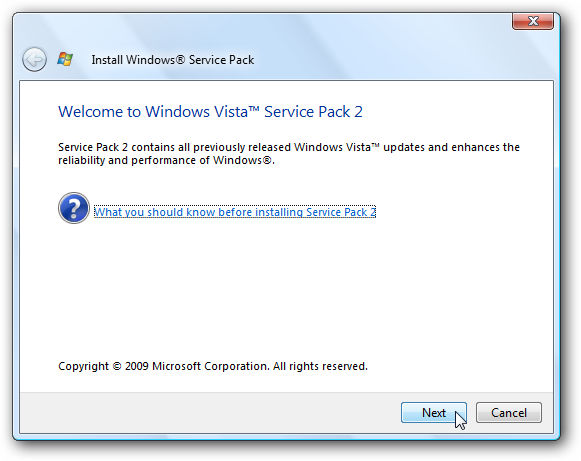 This will show what service pack and edition of Windows Vista your computer is running right at the top of the page. Microsoft makes it easy to keep using your computer safely and securely even if you choose to keep using your older version of Windows. By installing the latest service pack, you will make sure that your computer will be supported for years to come. Windows 7 users, you don’t need to worry; no service has been released for it yet. Stay tuned, and we’ll let you know when any new service packs are available.